Interferon alpha 2a (IFNA2) molecule. Pegylated analogues of this cytokine are used to treat hepatitis B and C infections. 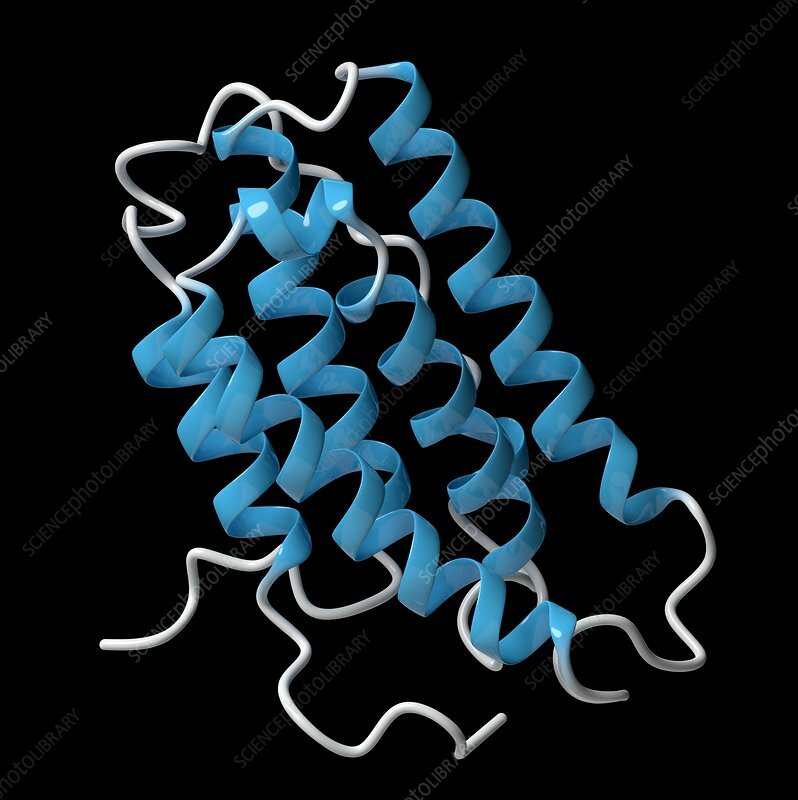 Cartoon model, secondary structure colouring (helices blue).